Maroon 5 headlined Super Bowl’s halftime show on Sunday but it wasn’t the band’s performance that got fans talking. 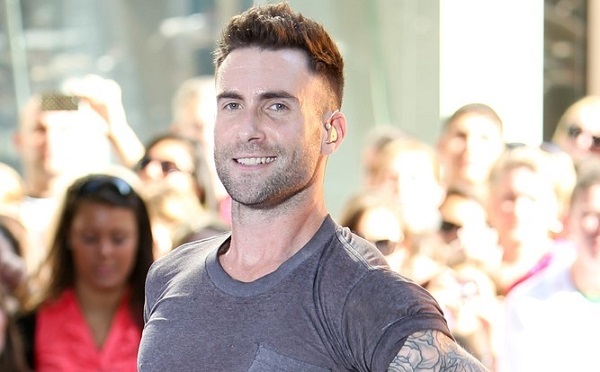 It was the band’s vocalist Adam Levine’s sartorial choice that circulated on the internet. Many social media users pointed out that Levine’s Dries van Noten brown, geometric tank top bore resemblance to their curtains and pillows design, and it turns out, they were not wrong. The pattern was created by a Danish furniture designer Verner Panton, who is known for his iconic Panton chair. He also created fantastic textile designs and one of them is the geometric pattern seen all over Levine’s tank top. Levine’s print also comes in a blue hue which is designed by Panton himself and manufactured by Mira-X International Furnishings. A sample of the blue print can be found at the Cooper Hewitt Museum.